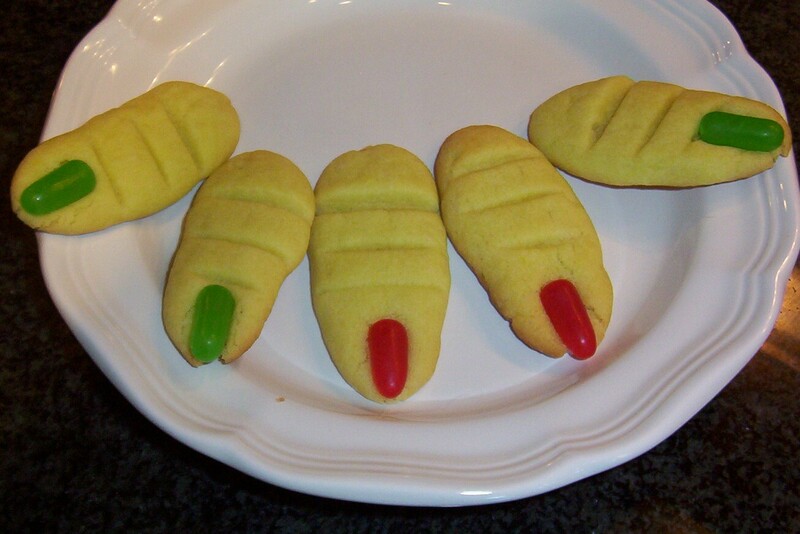 The Nut-Free Mom Blog: Halloween Cookies Safe for Peanut Allergy: Frankenstein Monster Toes! Halloween Cookies Safe for Peanut Allergy: Frankenstein Monster Toes! It's October first which means it's once again time for some peanut- and tree nut-free Halloween cookies! This fun recipe for "Frankenstein Monster Toes" cookies (tweaked from a recipe I found that used almonds)is a big hit with family, friends and blog readers alike. My recipe also now appears in the Chicago Parent online cookbook! The cookies make a great, nut-free addition to Halloween parties and are just a great treat that makes both kids and adults smile. Jenny, I gain so much information from your blog. Today, I found out that Betty Crocker sugar cookie mix is safe. Woohoo! Thank you! Hi Lindsay, So glad you find my blog helpful! That's great to hear. As far as any cookie mix, I just want to remind everyone to always read a label before buying a food, even if you've used it before. Labels have been changing lately, a lot! That said, it's great to find prepared foods or mixes that are safe for us. Those are cute. I learned a lot from you. I hope that you post more informative articles especially about cooking. My kids surely love these toe cookies. Thanks for the recipe. I am actually searching for suggestion on what to prepare this coming Halloween season for my kids and their friends to enjoy and my big thanks to you for sharing your recipe. My kids loves peanut and I am sure they will definitely love what I am going to prepare. Those are cute indeed! My kids will surely love to try this one. Actually they are always with me when ever we search new recipes for our weekend baking activity. Thanks for sharing this one.